Hazarai Rack Race #2 begins Sunday 9PM; win a MOTU Trap Jaw Super Deformed plush! 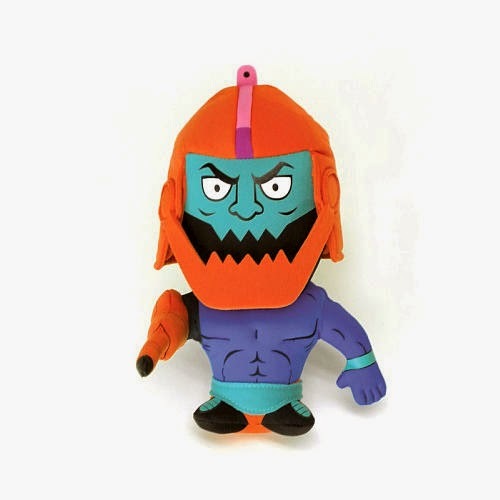 The HAZARAI Rack Race online scavenger hunt is back by popular demand, and this week the prize is a Masters of the Universe Trap-Jaw 7-inch Super Deformed Plush (above). 1. Create a New Rack on HAZARAI called “Super Rack Race 2” and select the “Big Fun" category. 2. Fill up your Rack by collecting at least one of each of the items from the list. 3. The first person to post a link to their completed Rack as a comment on Hazarai's Official Challenge Facebook post wins. Here's Harazai's FB. 4. They will also be giving out consolation prizes for the next 4 who finish after that, so don’t give up even if you’re not first. NOTE: anyone who finishes the challenge before they close the books on this contest is guaranteed to get a little something too. HAZARAI is a brand new social network exclusively for fans of all things geek culture - a place to share your favorite pics, videos, and gifs with the rest of our community. Still don't get it? Watch the video! Arik Ehle, of Wild WestSide, is an artist who creates some great faux taxidermy mounts. Outside of his day job, working at Pixar, Arik is also an avid painter and sculptor who works on large original pieces, as well as smaller limited edition runs. Wild Westside is a brand that originated from a series of faux taxidermy pieces which feature a blend of the Wild West feel, with West Coast lifestyle. In the coming months, Arik will be releasing a few colorways of his OG Impala Mini sculpture. At 1/3 scale of the regular pieces, these Minis will be priced at $60 plus any shipping involved. Measuring in at 9"x5"x7", these OG Impala Minis are a great representation of the larger OG pieces. The first colorway, Ivory, will be made available on June 27th via the Wild WestSide website. This piece will make a great base for other artists to paint and make unique. The GID version will be the second release, expected to happen at SDCC. While the Onyx version will be released in August. 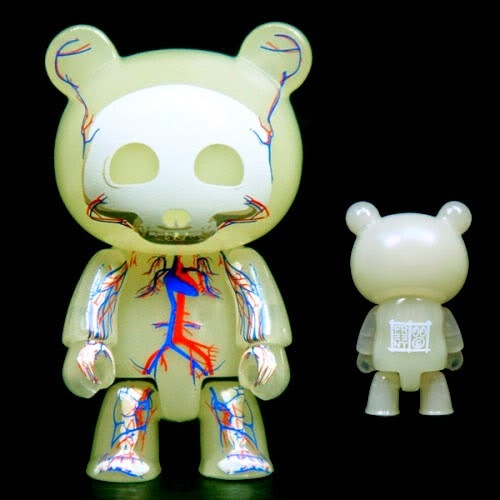 Each edition will be limited to 20 pieces and is made from wood, resin and acrylic. Who knows, if these OG Impala Minis are a success, there might be other minis created in the future. Note, as of this post, the Ivory OG Impala Mini is available to pre-order on the Wild WestSide website, expected to ship after July 7, 2014. To stay up to date with Wild WestSide news, be sure to sign up for the newsletter. Sculptor and designer toy artist Shadoe Delgado has been making original sculpture for several years, since his academic studies began. His Shadow creatures have come in many forms and sizes, often masked, unmasked, and toothsome. One thing I've noticed about the progression of Shadoe's original sculpted creatures, is his textures remain very organic, but colour palettes are incorporating vibrant colours and colour transitions. Lights and darks in high contrast to eachother are emphasized. Two new original sculptures, The Fabulist and The Auditor, are each available through Clutter Gallery's Tenebrous exhibition on now. For more of Shadoe's work, check out his website or follow along Instagram @shadoedelgado , facebook, or email shadoedelgado@gmail.com for commissions info. Toy artist Crux of Circustank Media Art shares with us Dr. Mallard Fancycrasher, custom 4" Kidrobot Foomi. He looks devastatingly dashing- that pinkie may be raised in readiness to flick your head off your shoulders by unleashing its bionic power. Crux is accepting commissioned projects starting at $85 if you email inquiries to iarethecrux@gmail.com . If you'll excuse the good Doctor, he has a prior engagement to attend. We just ordered the remaining stock of these Jason Freeny Qee figures, so if you ever wanted one, now is the time to order. $12 each, and they will be arriving in our warehouse soon. Only 500 brought into the USA. 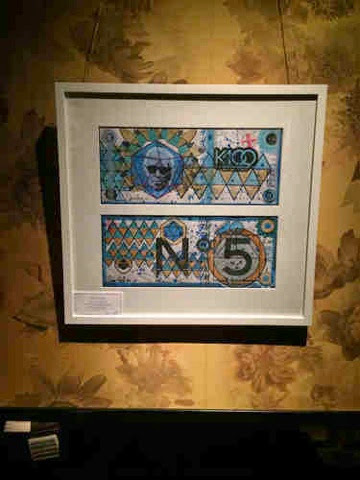 I had the distinct pleasure of attending the opening night party of Foox's New Money show at a hidden back bar in the ridiculously swank Beautique next to The Plaza and the Fifth Ave Apple store. This was the first time in my life I was escorted into hidden lounge literally through the kitchen... One of those quintessentially New York "Baller Moments" you only see in movies. When I tell you that Foox operates at the next level, this is why. Coinciding with the 20th anniversary of groundbreaking alternative art and culture magazine Giant Robot, OMCA features the major exhibition, SuperAwesome: Art and Giant Robot featuring works by 15 contemporary artists who have been a part of the magazine's social and cultural evolution. Co-curated by Giant Robot visionary Eric Nakamura and OMCA's Associate Curator of Art & Material Culture Carin Adams, SuperAwesome presents new or recent works by California and international-based artists affiliated with the influential magazine that brought Asian, trans-Pacific popular culture to mainstream audiences in the United States. 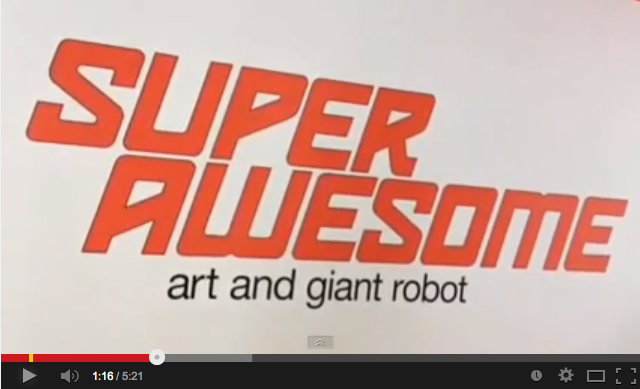 Over the past 20 years, the Giant Robot brand has expanded to include retail stores and galleries in San Francisco, Los Angeles, and New York, a restaurant, museum and gallery exhibitions, and a popular website. It has also become an important outlet for a generation of emerging artists, several of whom have achieved mainstream success—such as Adrian Tomine, whose work has graced many New Yorker covers, and James Jean, whose is best known for his work for Prada, ESPN, and Atlantic Records. SuperAwesome connects to OMCA's other spring exhibition Vinyl: The Sound and Culture of Records through programs and in-gallery experiences celebrating how a range of communities comes together to create shared popular culture.